We’re back for the second ANUSA SRC meeting of 2019! The meeting closes at 7:41pm. This is much earlier than the 10pm finish anticipated in the agenda. Motion 8.5: General Secretary Lachy Day moves a motion to establish an “Electoral Reform Working Group”. The group will be open to “all current members, volunteers and staff of ANUSA”, and will formulate recommendations and present them at a General Meeting before nominations open for this year’s election. President Eden Lim moves for the SRC to confirm Sam Neave as Queer* Officer. This motion passes. There are no further speakers for or against the motion. A non-SRC member wanted to speak for the motion anyway, but Lachy said there was no point having speakers for without speaking against. Lachy named the student for not hearing him in silence. CAP Rep Kai Clark speaks for the amendment, saying he trusts the bureaucracy of ANUSA not to implement barriers. Campbell also speaks for the amendment, stating that “ANUSA wants to support safe events”. Wren speaks against the amendment. She says “it’s outrageous that there’s a political barrier to this event”. A non-SRC member says that this amendment conveys that “ANUSA is trying to shut down political discourse”. General Representative Madeleine Lezon moves an amendment to the motion. It seeks to bind the contingent to “respects the needs and safety of members”. Madeleine says that since the climate change rally she has received messages from students who were concerned with “political merchandise” being circulated during actions. This amendment is not taken as friendly, so we’re debating it. Motion 8.3: Wren Sommerville moves the motion. It seeks ANUSA’s endorsement of Refugee Action Campaign’s rally on Palm Sunday. The motion also would have the SRC “condemn mandatory offshore detention”, and “put out a statement supporting refugees”. Motion 8.2 has been withdrawn. It was put forward by Environment Officer Nick Blood, and asked ANUSA to donate ,000 to supply water to communities affected by severe water shortages. Motion 8.1: General Representative Isabella Keith talks to her motion, which seeks to approve Terms of Reference for her project to engage ANUSA Departments with halls and residences. The document sets out plans for consultations with the Interhall Council of Presidents, Department Officers and the Division of Student Life to “coordinate advocacy and representation efforts across campus”. General Representative Ailsa Schreurs presents a report on her project to have a can deposit scheme at Friday Night Party. Campbell clarifies that the decision to make the tickets not “stackable” was largely due to responsible service of alcohol concerns. Last but not least of the Departmental reports is Ethnocultural Officer Aisha Setipa. The Department is planning to run “Eth-Yes Week” from 29 April to 3 May. It is also helping with a Women of Colour Leadership evening. On to the report of Environment Officer Nick Blood. He notes the success of the Climate Strike University contingent. The Collective has also been involved in assisting the communities who are currently experiencing severe water shortages due to the dryness of the Darling River. The Collective held a bake sale to donate to a relevant organisation, and spent 00 delivering 900L of water to Collarenebri. Speaking to his report, Nick mentions a person doing a climate walk from WA. He encourages people to sign the person’s petition. Madhumitha Janagaraja and Claire Bricknell, who are Co-Disabilities Officers, present their report. They have obtained a map of accessible bathrooms and parking spaces on campus, which they intend to circulate. They plan to work with the University to improve how staff members deal with students’ Educational Access Plans. It appears the Spoons Space will move into the space that is currently Access and Inclusion. However, they note this is “not certain”. Claire is working on updating the Accessible Events Guide. Hazel Ang, International Students’ Officer/ISD President, delivers her report. She sits on the University’s Academic Board, though many discussion items are confidential. Her report mentions “hiccups” with the International Student Welcome Evening (ISWE). Apparently, there were some issues with PARSA as to the splitting of funding and the way the event was to be advertised. “In ISD’s opinion, the objectives of the event did not seem in line with the amount of money spent on ISWE,” Hazel says, speaking to her report. She says communication from PARSA was “condescending and unclear”. She apologises to the international student community on behalf of ISD for the “unsatisfactory” event. Newly elected Queer* Officer Sam Neave presents their first report. They thank Isabel Moss, who had been filling in after the previous Queer* Officer’s resignation during the summer break. Matthew asks about expenditure. Sam responds that they didn’t know the required format of reports because the previous Queer* Officer (Matthew) did not give them the handover documents until today. Priyanka Tomar delivers the Women’s Officer report. The Department elected its committee last week, and is planning a number of campaigns including a body positivity campaign. The report notes that ANUSA and PARSA have been working to set up the Respectful Relationships Student Working Group. Priyanka also notes that there have been a number of complaints about the state of sanitary bins on campus, and says she is “working with [ANU] to put in place strategies (including revising the emptying schedule and having larger bins)”. Responding to a question, she notes that ANU changed service providers this year. The Department is holding an autonomous self-defense workshop this week, as well as a clothes swap. We now move onto reports from the Departments. Indigenous Officer Sarah Loynes is first up. The Indigenous Department has made changes to its Constitution and Regulations, and elected a new Secretary. Department members will be able to attend an autonomous jewellery making workshop this week. The Department has begun planning NAIDOC Week in Semester 2, including a concert. Responding to a question from Social Officer Matthew, Sarah says she doesn’t think Jessica Mauboy is “in the budget” for the NAIDOC concert. The Department is keen to particularly have artists who sing in language. Sounds like a bold new campus experience. Matthew Mottola presents his Social Officer report. He says that the inaugural O-Week in a Day was successful, with over 300 people attending. However, he notes that there is room for improvement regarding socialisation opportunities. He has already started thinking about Bush Week, and has plans to host a Friday night party with sponsorship from dating app Bumble. Speaking to his report, Matthew calls O-Week in a Day “interesting”. He also asks for Bush Week and Clubs Ball ideas. Treasurer Dashveen Jose presents his report. Apparently the University owes ANUSA about AUD150 000 from last year’s mid-year SSAF and this was only recently realised. Dash says this was realised as part of ANUSA’s auditing this year. Nominations have opened for the Financial Review Committee, which, as the name suggests, reviews ANUSA’s finances for potential breaches of the Constitution/Regulations. Dash says that the cancelled First Year Camp ended up costing about AUD7000, but the budget for the event was AUD10 000. General Secretary Lachy Day delivers his report. Noting the Funding Policy passed by Clubs Council earlier in the term, he found provisions allowing clubs to profit “null and void”. Lachy clarifies that this is due to a part of the clubs Regulations which says clubs cannot get funding for a “profit making venture”. Lachy confirmed that the date for this term’s OGM will be the first Tuesday of next term. This comes after last week’s meeting was unable to start due to not making quorum. He says he is currently discussing with the ANUSA lawyer the requirement that he “convene” an OGM every teaching period (term). Tanika Sibal delivers the Education Officer’s report. She hails the First Year Beach Trip – a replacement for the cancelled First Year Camp – as a success. The Education Committee has had “wonderful turn out” of about 15 people per meeting, and is planning a campaign about the upcoming Federal Election. Speaking to her report, Tanika flags the planned Budget Night Party on Tuesday. Eden asks her a dixxer about the Workers’ Rights forum event. Vice-President Campbell Clapp delivers his report. In reporting to the SRC about Kambri, Campbell says that “all vendors are finalised” and should be all open in the next two months. The report also stated that facilities at Barry Drive will remain in use until the end of 2020. He says this is because ANU decommissioned multiple teaching spaces for the redevelopment, and so Barry Drive is still needed. Campbell mentions that he hasn’t been “super on top of” the Honours Roll project, but has plans for this next term. Campbell also clarifies the difference between SELTs being “anonymous” and “confidential”. ANU is making them the latter, rather than the former, in case there is a serious issue that needs to be actioned (eg a student breaks a code of conduct in writing their SELT, or appears to be at risk of harming themselves). President Eden Lim presents her report. ANUSA is set to move to the Di Riddell building in April – it was originally supposed to move on 18 March, but this was pushed back. “During the move there will be times where the office will be not be open,” the report says. Eden says it is likely that ANUSA will be closed next Friday, and early the week after, “dependent on technology”. We go to the Clubs Council Chair’s report first. Chair James Howarth reports that 113 clubs are now affiliated, with some applications experiencing delays due to compliance with constitutional requirements. When asked about the General-Secretary’s reporting of the Council’s Funding Policy, Howarth stated that the “first profit rule is unconstitutional and needs to be struck out”. Before business started, General Secretary Lachy Day has announced that abstentions are abolished. He explained that an abstention is essentially a “no” vote, and delegates should “leave the room” if they wish to abstain. This is based on an interpretation made during last SRC. 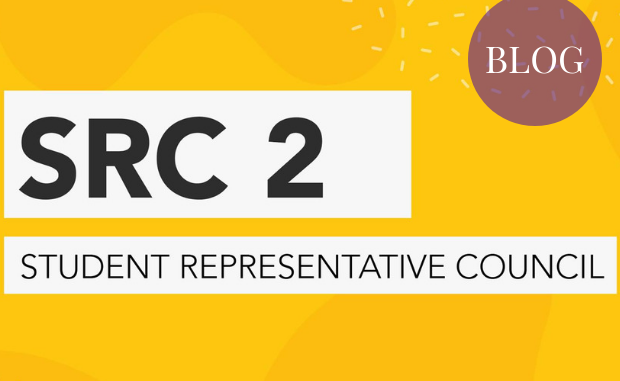 Welcome to the SRC 2 Liveblog! We’re waiting for the meeting to start now. Motions up for voting/debate today include supporting the Palm Sunday Rally for refugees, and supporting communities affected by water shortages. Excitingly, we are back to livestreaming! We were not allowed to last year due to a safety concern, so we’re happy to be able to bring back this service.